Apple’s new iTunes Radio service is only available in the USA at the moment, but that is slated to change in early 2014 as Canada is expect to gain the music service (you can still try this workaround to get it working in Canada). 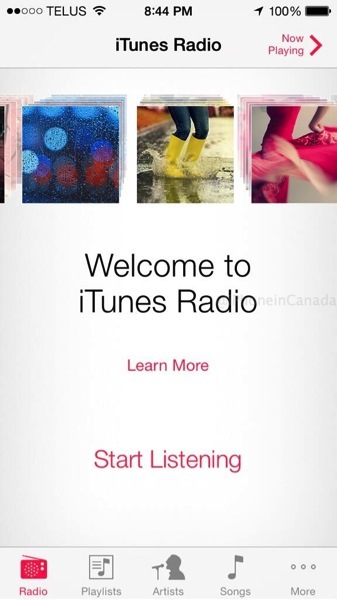 During the days of iOS 7 beta in late June, some Canadian developers also experienced iTunes Radio appearing on their iPhones. Our own tests have yet to see iTunes Radio pop up in Canada but this is a good sign the service is coming soon as rumoured. Let us know if you’ve seen iTunes Radio on your iPhone in the past day or so.